Welcome to our 20th Academic Year Anniversary! 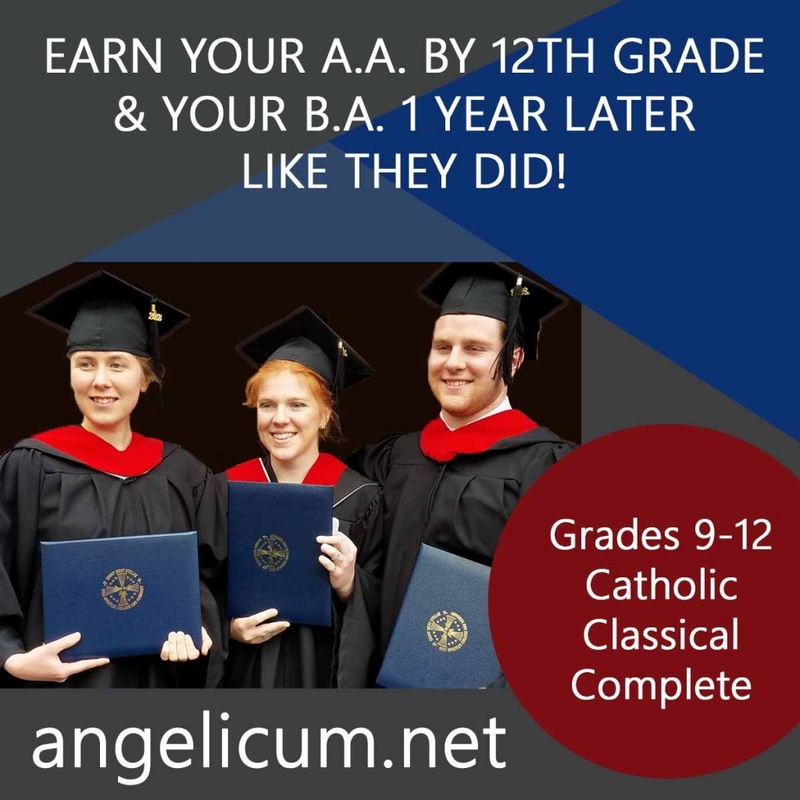 The Angelicum Academy is a Catholic Homeschool Program for nursery-12th graders. All students are welcome. Angelicum is a Latin reference to the Angelic Doctor, St. Thomas Aquinas. Founded in A.D. 2000, and formally approved by the Church, we offer a complete, home study curriculum including all subjects. 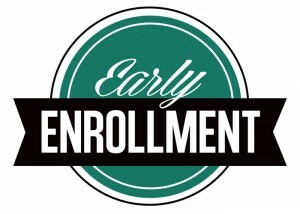 We offer various online classes for grades 1st -12th as well. Beginning in the 9th grade we also offer an entirely online homeschool program–the Greats Honors Program-for any students who prefer an online approach, which includes all courses through 12th grade and online lectures by many famous teachers, for all subjects, and also includes individual, live mentoring and subject-area tutoring. All 9th-12th grade students may choose either our conventional homeschool program or the online homeschool program. In 9th grade, and up, all students are encouraged to begin our Great Books Program. Each week, students and two of our moderators meet online for a live, two-hour discussion of the Great Books reading. Our four-year Great Books Program may be taken for high school credit or college credit by homeschoolers and all others. Great Books students may earn their accredited Associate’s degree by 12th grade. Presented below is the same information, in simple visual format followed by outline format; for full details please use the banner tabs above. Individual Online Courses Offered: Religion (1st -8th), Socratic Discussions (3rd-8th), Philosophy for Children (3rd-6th), Classical Greek & Latin (5th and Up), Ethics (7th & up), Logic (8th & up), Writing and Composition (8th & up) – these are all live, except Religion is recorded. The Greats Honors Program for all students grades 9-12 who prefer an entirely online curriculum. Includes online The Great Courses Plus™ in: Art, History, Language Arts, Philosophy, Latin & Greek, Science, Math, Music, Theology; with live, individual mentoring and subject-area tutorials. The Great Books Program-for all students 9th grade and up; four years are available; classes meet online weekly for a live, two-hour, Socratic discussion of the Great Books reading, with two Angelicum Moderators. These courses may be taken for high school and/or college credit. Students may earn their accredited Associate’s (A.A.) degree by 12th grade.